It is likely that a big factor in investments into new Enterprise Resource Planning (ERP) systems are their ability to save time. But when faced with the task of migrating data to a new ERP system - from either an old ERP solution or another business system entirely - it can seem like there is a time-consuming challenge on the horizon. 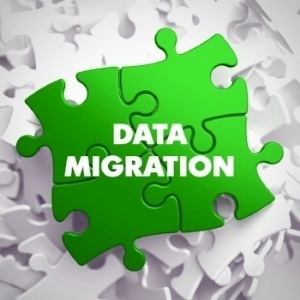 Luckily, there are a few ways in which you can speed up the process of migrating data, some of which we will cover in this article, as well as other 'need to knows' you should bear in mind. It is essential to have a dedicated person or team which looks after the ERP data migration project. Not only will this save you time through handing the reins over to someone focused entirely on the job, but it will also ensure you entrust the task to a party with sufficient knowledge of the new system. Typically, this would be the vendor of the new solution you have invested in, and they should know the ideal import utility to use, and how to use it. If the vendor does not offer advice or training for the migration project, you should be cautious in making a purchase, or attempting a 'DIY job'. Think about the kind of data you want to use in the new ERP system. You can benefit from reviewing its quality, and if you think it might be time for a complete overhaul, such as changing the way you record product codes, opportunities or accounts - the time to make a change is before you migrate your business data to the new system. Moving to a new business system is also an opportunity to reassess your processes, whether there is room for improvement. Following on from the last point, you need to ask yourself 'Do I really need this data in the new system?' - a project such as this can help to administer a cleanup job, removing bad data such as duplicate content or inaccurate information before it is supplied to the vendor or the team responsible for the migration. Data should be consistent, and categorised clearly, which in some cases can mean using spreadsheet templates to realign information ready for migration. Typically, open and current transactions are some of the last kinds of data to be migrated and are done near the point of launch or after the launch, while more static information such as product and customer details can be done ahead of time. In the case of early migrations, you should ensure there is a way of manually updating this data if needs be before the new ERP system is live. Then there are some types of data which give you more flexibility, such as historical sales records which are unlikely to change. Any data which is migrated close to the point of launch should only be done so after testing, make sure a period of testing is scheduled in as part of the data migration plan to ensure a smooth migration. With WinMan ERP, not only do you benefit from a comprehensive all-in-one ERP system - our team are with you all the way to guide your ERP data migration process to completion. Contact us today.